Office buildings, retail establishments, apartment complexes, condominiums, and any constructed environments with an application other than single family housing fall within the umbrella of commercial construction. When commercial construction owners are confronted with defects in their newly built spaces, numerous legal issues may need to be navigated that are not always present in a residential construction case. The stakes are usually high, and owners need counsel and guidance that can only be provided by experienced commercial construction litigators. Potentially responsible parties must be identified at the outset. Commercial construction generally involves involvement by architects and designers. Initial considerations include what level of architectural involvement was purchased. Architectural services may range from phase 1 services of designing and drawing the built environment, with application of specialized knowledge, to phase 3 services such as construction supervision and oversight of submitted draw requests. If structural issues have arisen, all structural engineers the architect engaged or utilized must be identified. 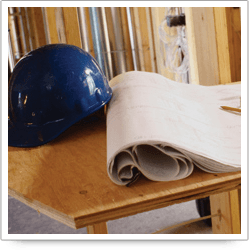 The builder is always a potentially responsible party, but experienced attorneys will also interview project owners at length to determine whether any subcontractors may be directly liable to the owner under applicable law. Consideration must also be given to whether site prep caused problems, and if so, identifying which companies were responsible for site prep and compaction must be done at the very beginning. Financial considerations may also play a major role in commercial construction cases. Beginning with the bid package submitted by the builder and those submitted by competitors who were not awarded the job, the seasoned construction attorneys at Riley & Jackson can identify whether the builder engaged in underestimating or shortcutting to obtain the project. Arbitration provisions also often appear in commercial construction contracts. Understanding when these provisions are enforceable and the advantages and disadvantages of arbitration to project owners allows our attorneys to formulate an effective and efficient litigation plan before any legal steps are taken. Insurance coverage concerns must also be addressed before any legal document is filed. Because of limitations on what a builder’s policy may cover, an improperly drafted initial pleading may limit or foreclose available coverage for the damages at issue. Once these and other key issues are analyzed, Riley & Jackson can put its clients in the best possible position for ultimate success in the most complex commercial construction cases.